The smooth beveled edge of this graceful award is a key to its beauty! 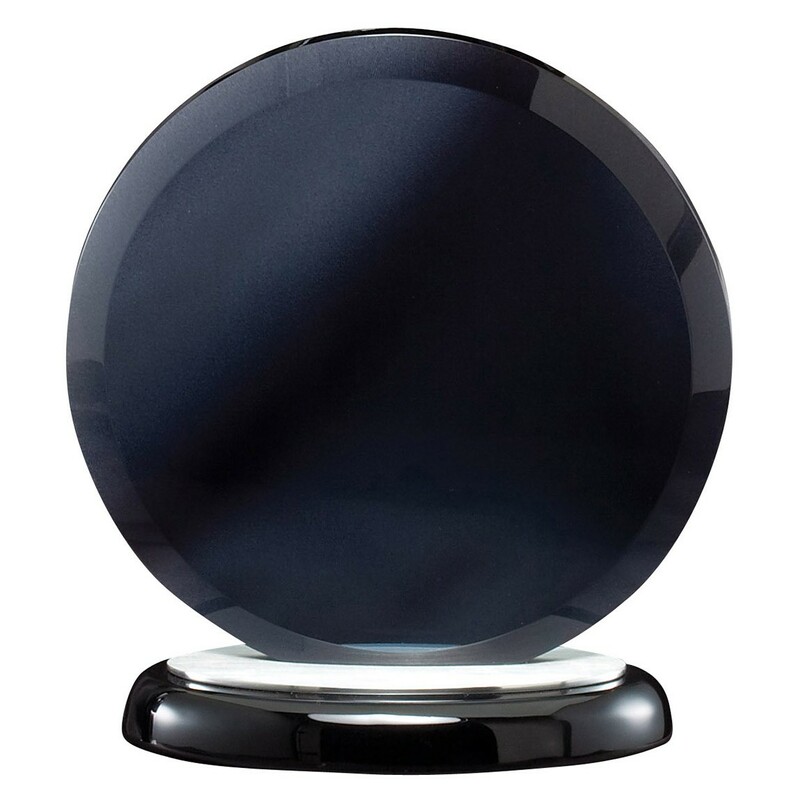 This Smoldering Beveled Circle Glass Award has an attractive smokey tint that makes it a sure choice. Free and professional etching adds an extra element to an already eye-catching piece! 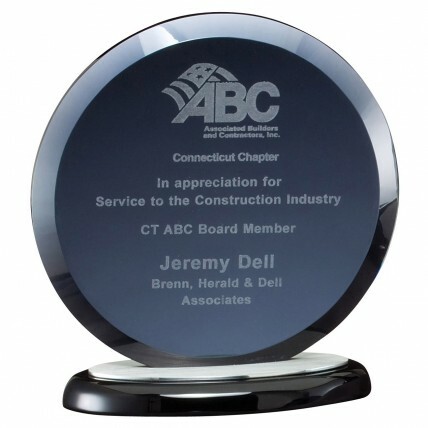 With 3 sizes to choose from, any event from a recognition ceremony to a retirement party will benefit from this unique award! SM: 6.5, Med:7.25, LG: 8"